Just as email designers are getting to grips with designing for mobile readers, a new wave of inbox managers are entering the fray, prompting us to reconsider how we structure marketing emails. In this edition of eMarketing Insight, Striata reviews a new wave of inbox management tools that could change your email design or structure. Inbox managers / consolidators could be the next disruptive technology that keeps digital marketers on their toes. Inbox management tools such as Orchestra’s Mailbox, AOL’s Alto and Cloze will impact how we design and structure marketing emails. Email layout may not have to adapt much here, but the amount of time an email has to make an impression just got shorter with the ability to snooze or file an email with one swipe. Emphasis on ‘From’ names and punchy subject lines. Emails from ‘humans’ are likely to get more of a chance. Mailbox is however currently in a limited-user beta phase, and is yet to be made publically accessible. Combines your email and social media into one easy-to-use interface through a process they call “noise cancelling”. By analysing your email and social media history, Cloze assigns a score which is used to measure relationship strength and prioritises communications accordingly. Emails not sent from a ‘human” are likely to be bottom priority unless the user has manually amended the sender’s score to be included in their “Key People”. Cloze assigns ‘Bulk Emails’ to a separate category which busy people are likely to ignore. AOL’s ALTO, currently in a state of ‘private beta’, handles up to five different email accounts per user – meaning you can consolidate multiple mail accounts (AOL, Yahoo, Gmail) into one interface. The application will sort emails into “smart stacks” based on whether they contain attachments, photos, notifications or retail offers. 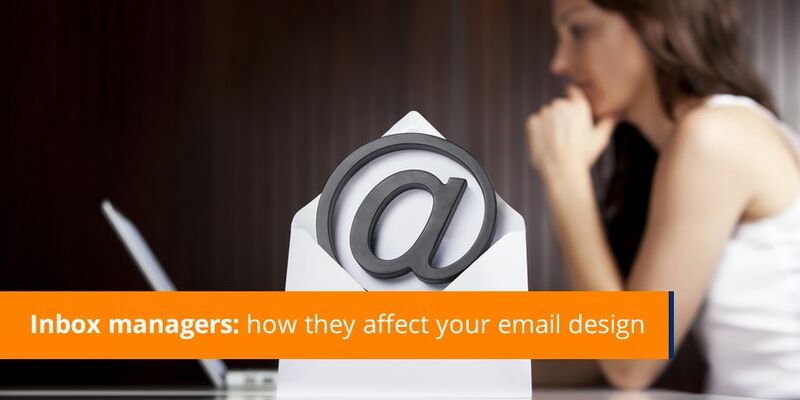 Could impact email testing procedures, as not only do you need to check your design against the native email clients, but also against the new consolidators. Alto users can customize their piles, making the email marketers challenge one that involves ensuring their emails get into the right stack. Striata be watching these market changes closely to see how they will redefine email marketing best practice and shape our approach to email design. Alternatively, get in touch with a Striata email marketing specialist.